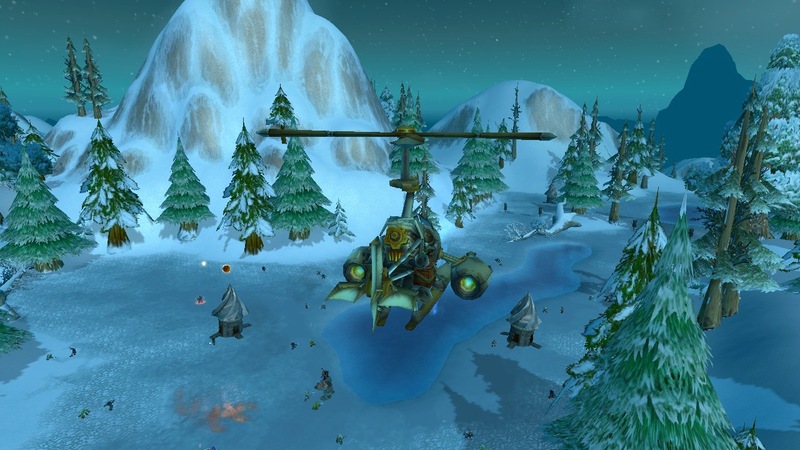 One of the great things that happened after Cataclysm was that players were now able to use their flying mounts in Eastern Kingdoms. 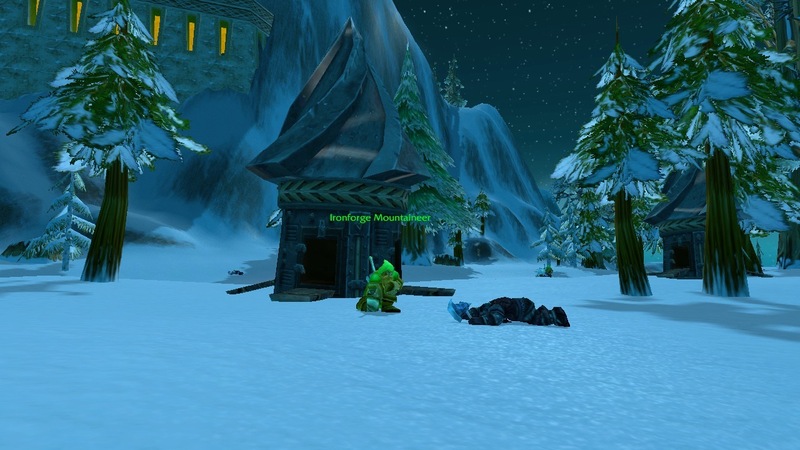 We arrived at the opposite end from where players would have if they had to climb the mountain to get here. At first glance, things looked very much the same as before. Soon, it became obvious that things had changed since my last visit. Planes were now flying overhead. 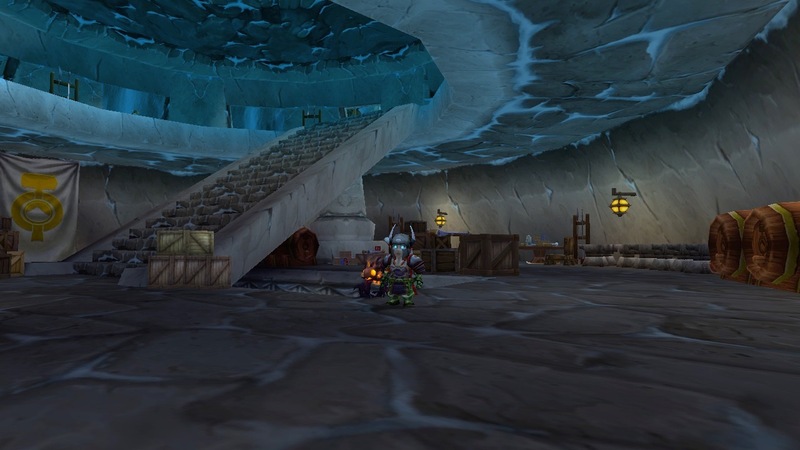 This is the spot where players who climbed the mountain would have first arrived when visiting the “Ironforge Airport”. 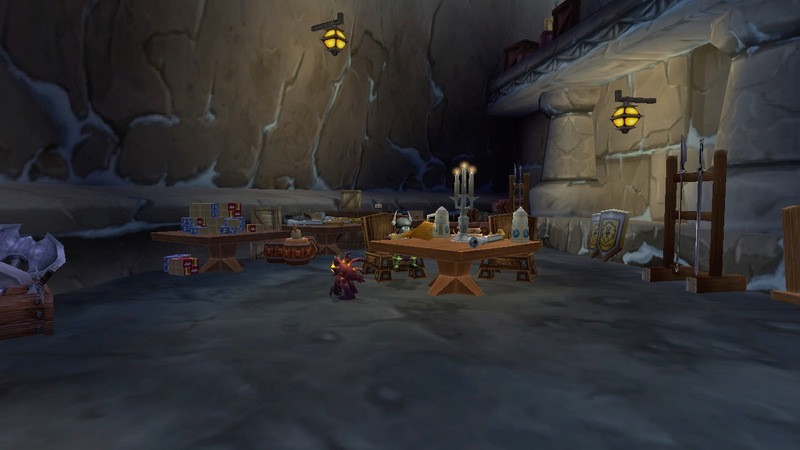 The Ironforge Mountaineer, and the Stormpike Mountaineer have moved from their original spot by the Gryphons. 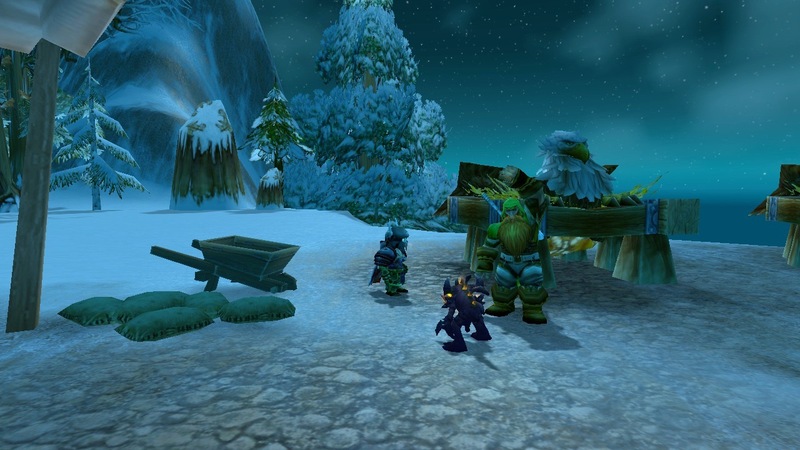 A Dwarf, in full armor, sits by a fire. He, and his fire, were not here before Cataclysm. There still isn’t a Gryphon Master here. Instead, there Rixa Quickwrench. 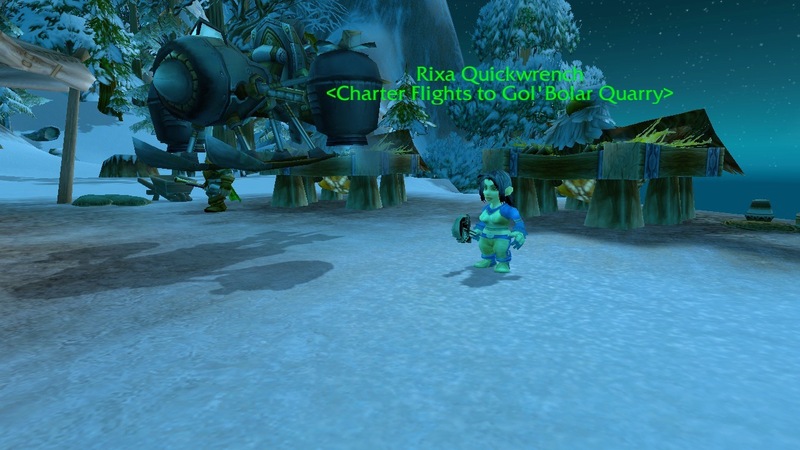 This Gnome charters flights from up here, to Gol’Bolar Quarry below. 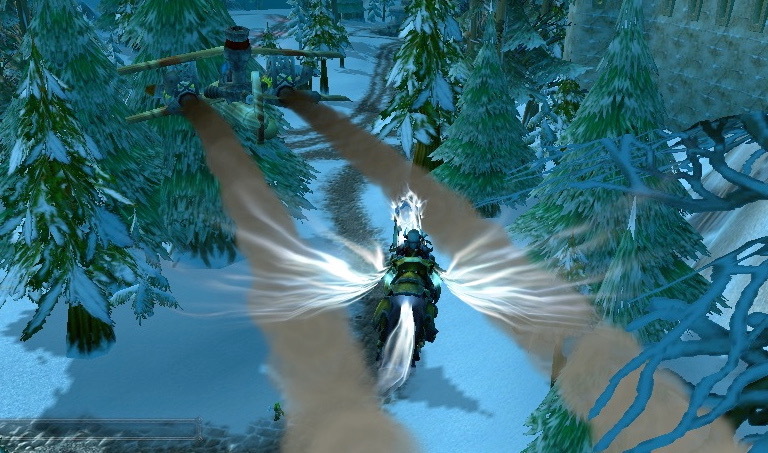 This trip would be taken by plane, not Gryphon. 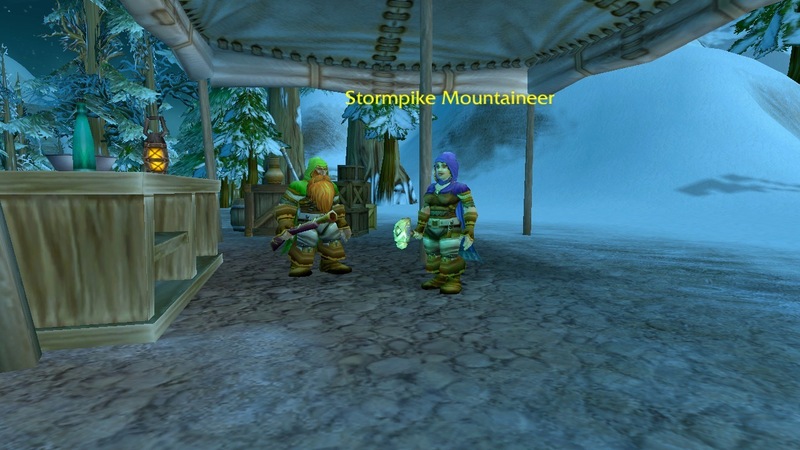 The Ironforge Mountaineer, and the Stormpike Mountaineer have both moved from near the Gryphon to underneath this tent. 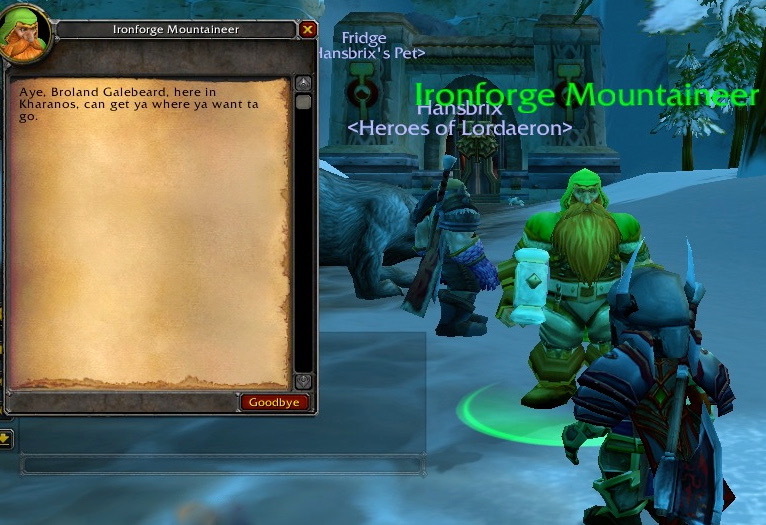 I wondered what the Ironforge Mountaineers would say this time when I asked them where the nearest Gryphon Master was located. I got a different answer this time. 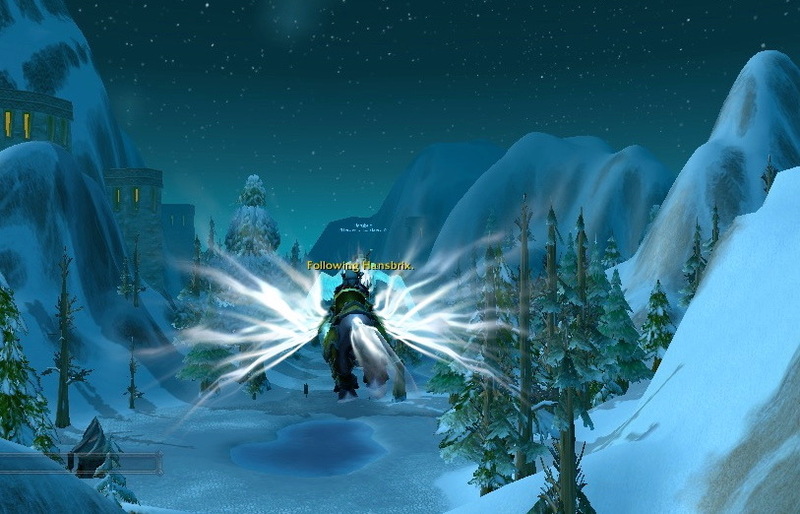 Last time, before Cataclysm, I was directed to find the nearest Gryphon Master “in Ironforge, near The Great Forge”. 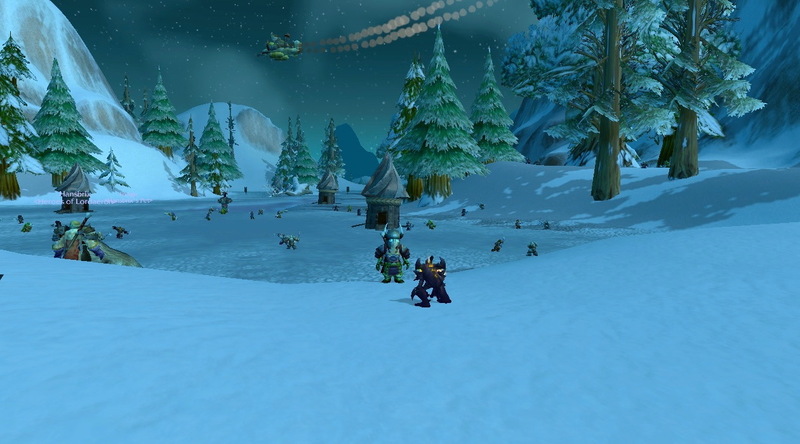 The Dwarf from before, who was waiving at no one that I could see, could potentially be waving at someone now. 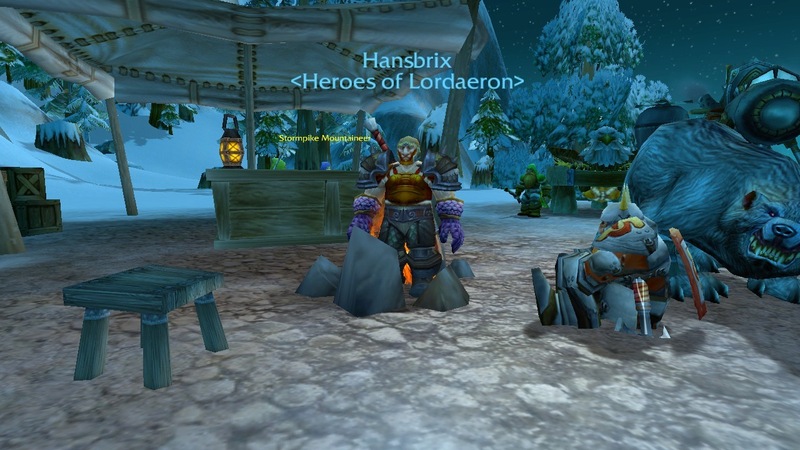 Hansbrix found a fire he could stand in without taking damage. Oddly enough, when you scroll over it, the campfire is not labeled. These two have changed! 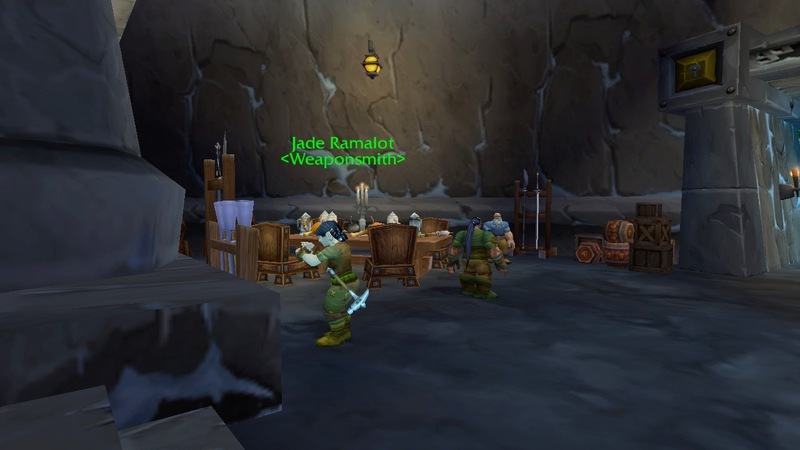 Before Cataclysm, there was a female Dwarf and a male Dwarf, and neither one were wearing plate. 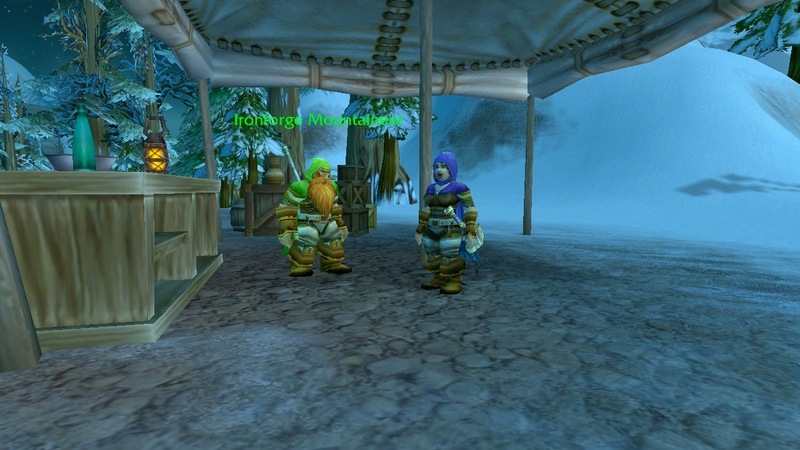 Before Cataclysm, there were only two Ironforge Mountaineers here. Part of what was inside the building was as I remembered it. 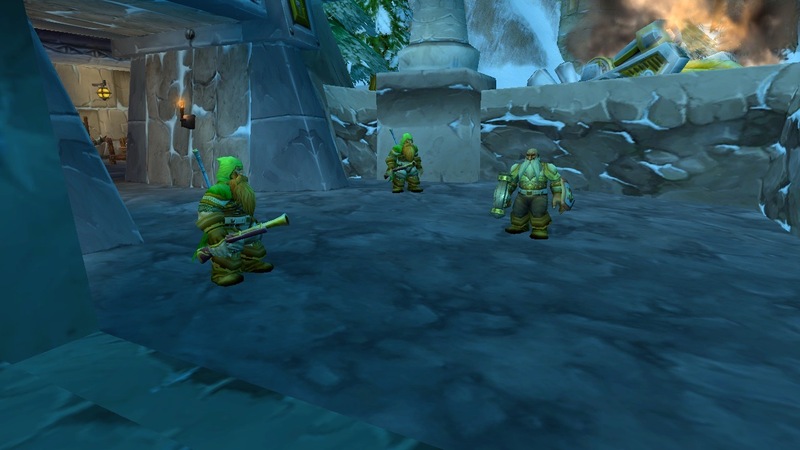 This time, there were Dwarves inside the building that were not here before Cataclysm. 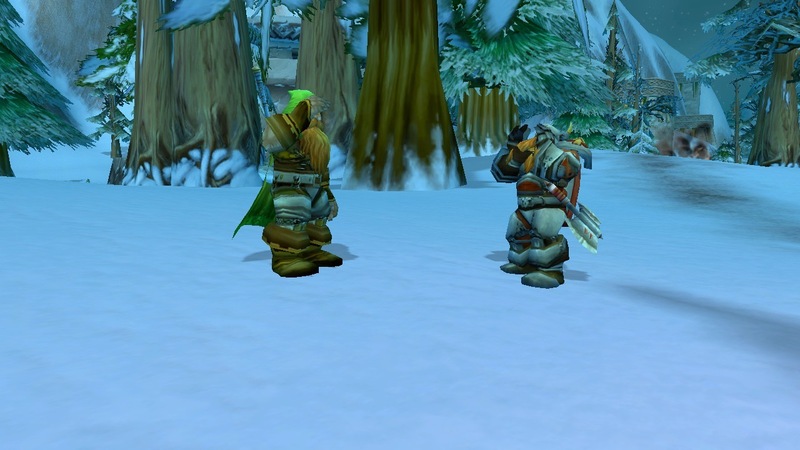 Were these Dwarves a family? 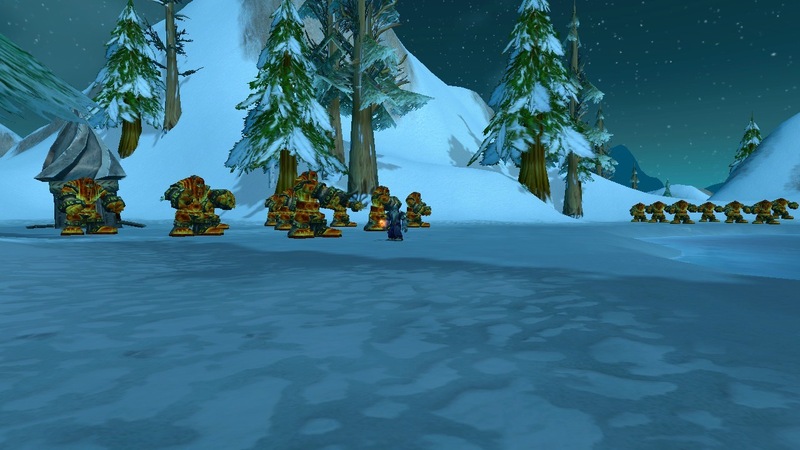 There were still tanks sitting in this area. 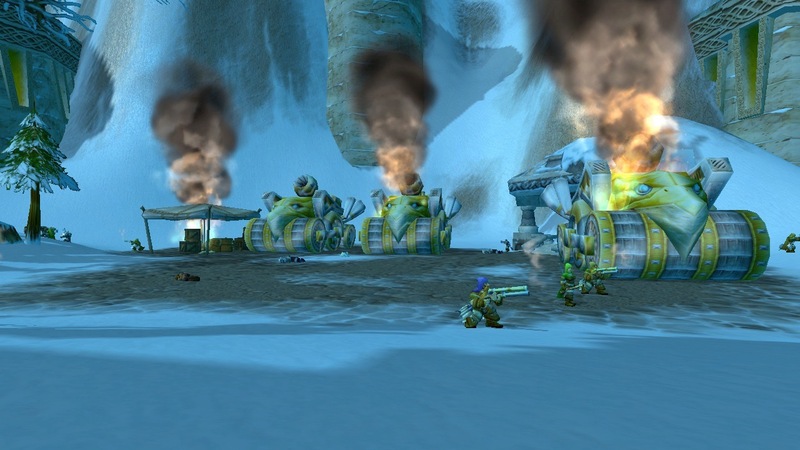 The difference is that the tanks are now on fire. 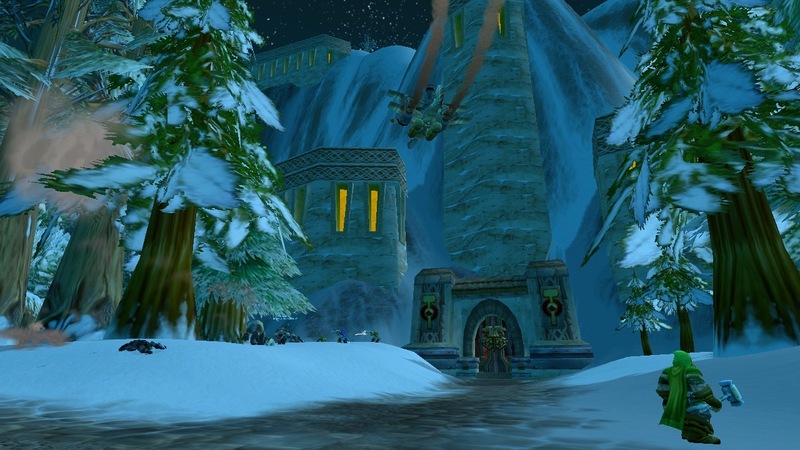 This building has gotten completely “snowed-in” in the time between my last visit (before Cataclysm) and this visit. The row of planes is still here. 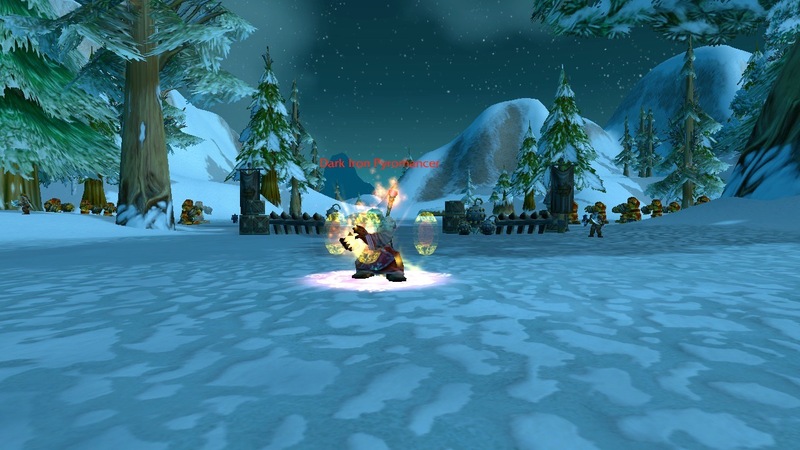 They were not engulfed in flame before Cataclysm. 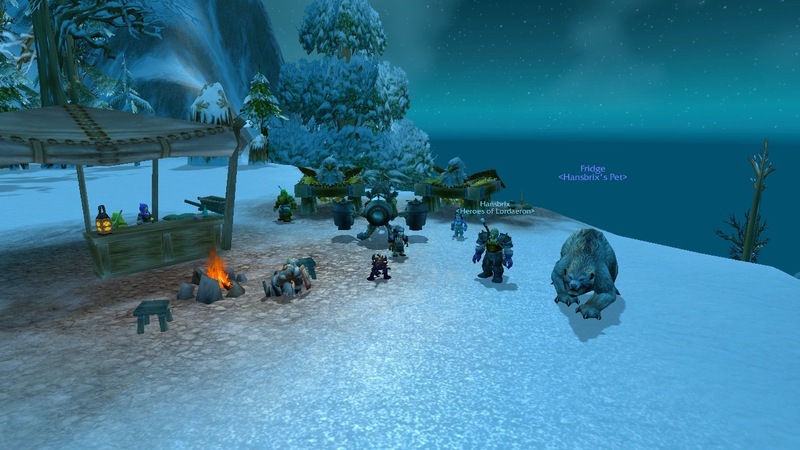 If you look on the ground in front of the planes, you can see the bodies of some Dwarves who were killed in battle. 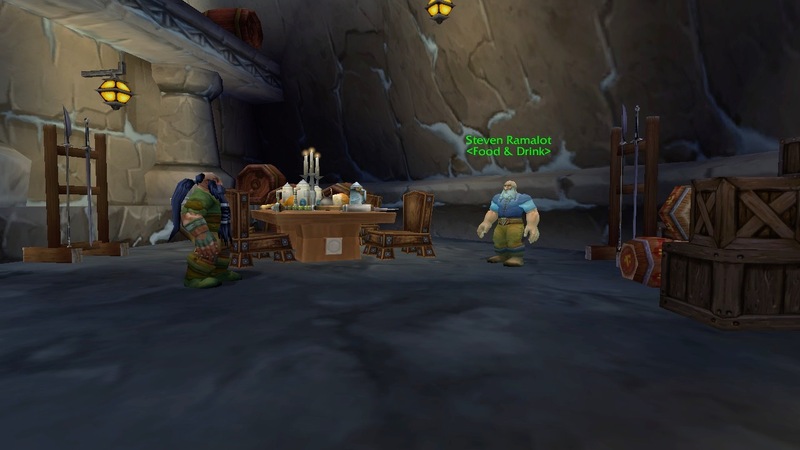 Before Cataclysm, there used to be a very sad Dwarf, crying over his broken plane, to a Gnome Engineer who didn’t seem at all moved by his display of emotion. 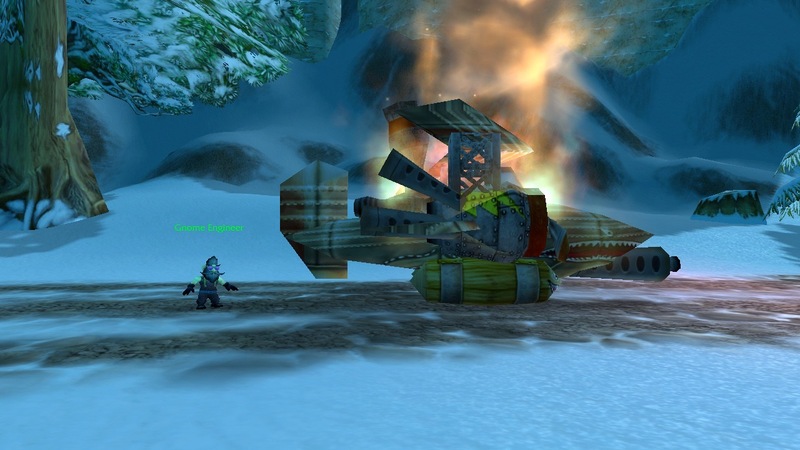 Now, the plane is on fire, and the sad Dwarf is nowhere to be seen. 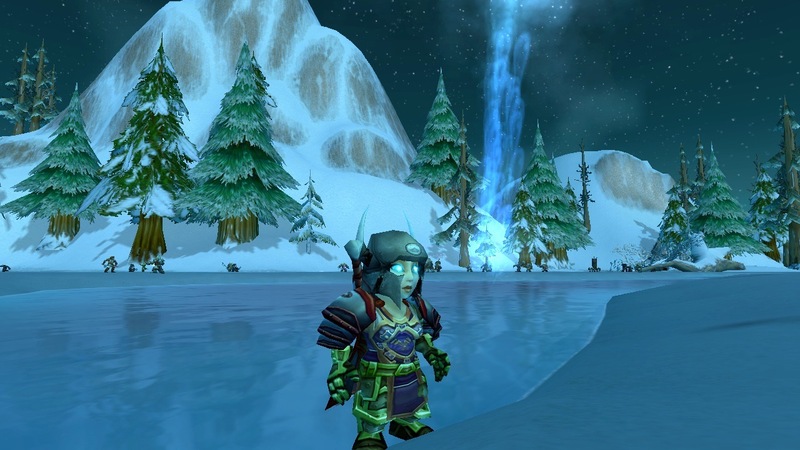 There is a different looking Gnome Engineer here today. 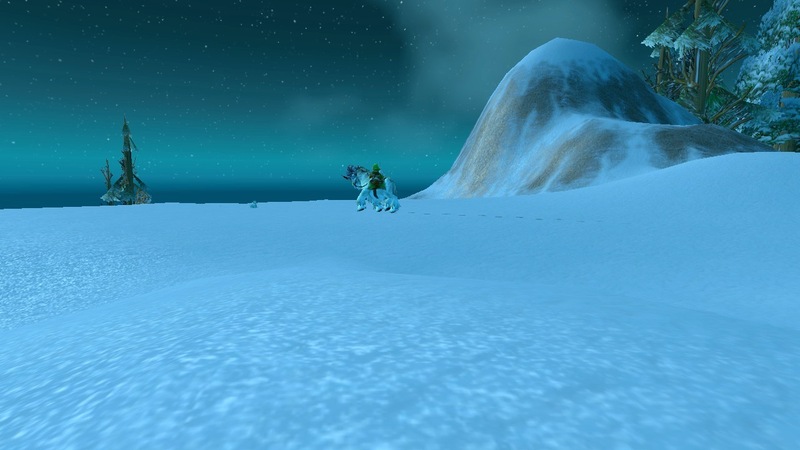 Off in the distance, only one Dwarven Mountaineer could be seen riding his racial mount. The tall, tower-like building was still here. 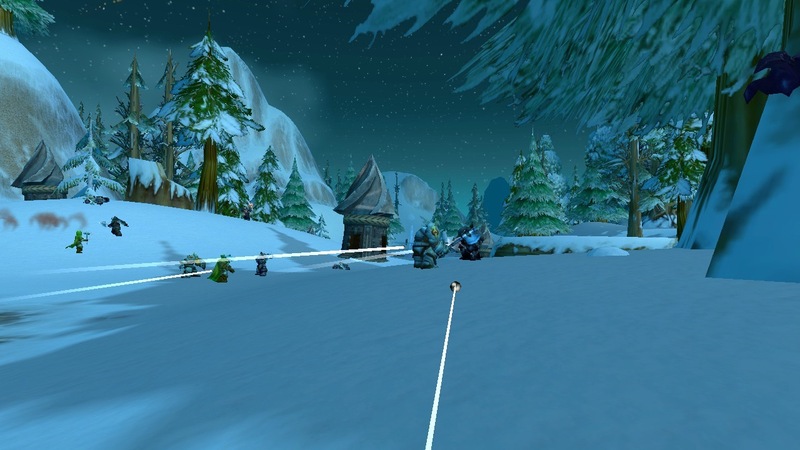 This time, there was a battle waging near it, and a plane flying past it. 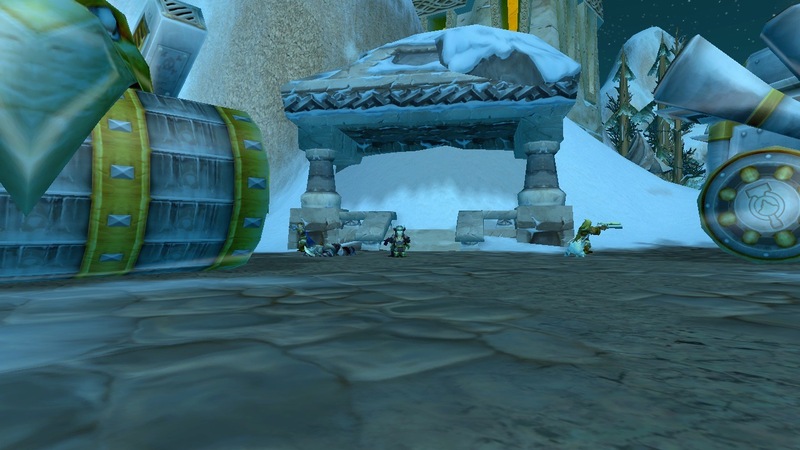 Last time I was here, before Cataclysm, there were some Ironforge Guards standing near the entrance of this structure. 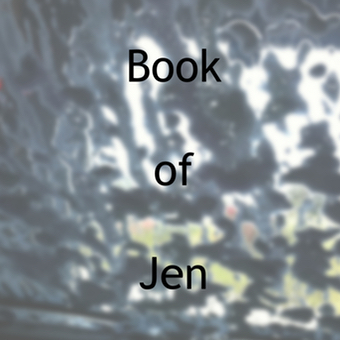 I was able to walk right in, and down a hallway, which ended at a door that sealed shut. 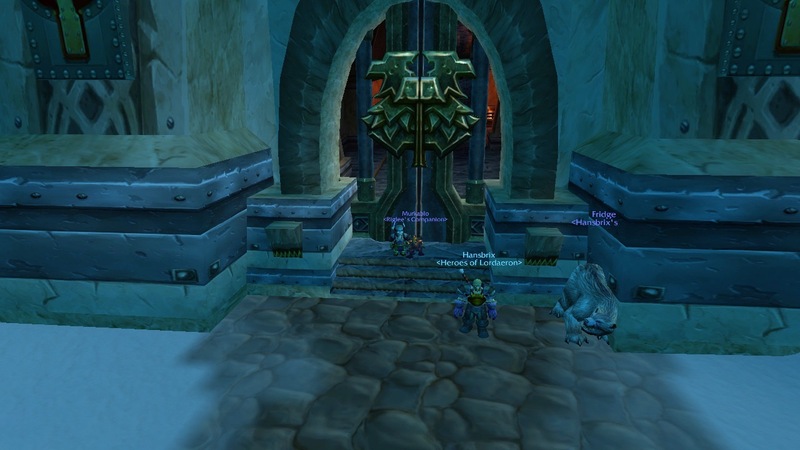 Now, after Cataclysm, this very large and ornate door blocks off the entire entrance. 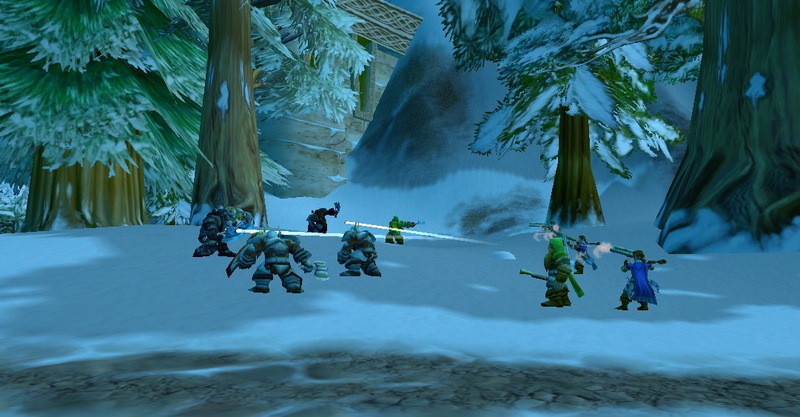 Here is a closer view of the battle taking place nearby. 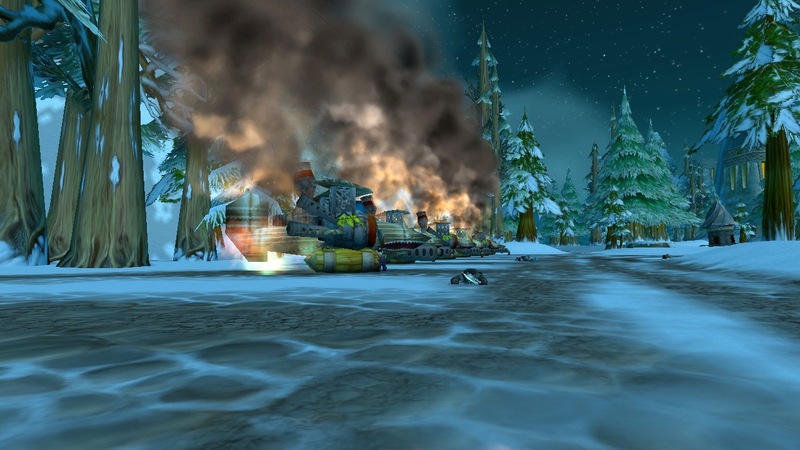 Things have gotten very serious at Ironforge Airfield after Cataclysm! The Pet Trainer, (and her friends), are nowhere to be found. 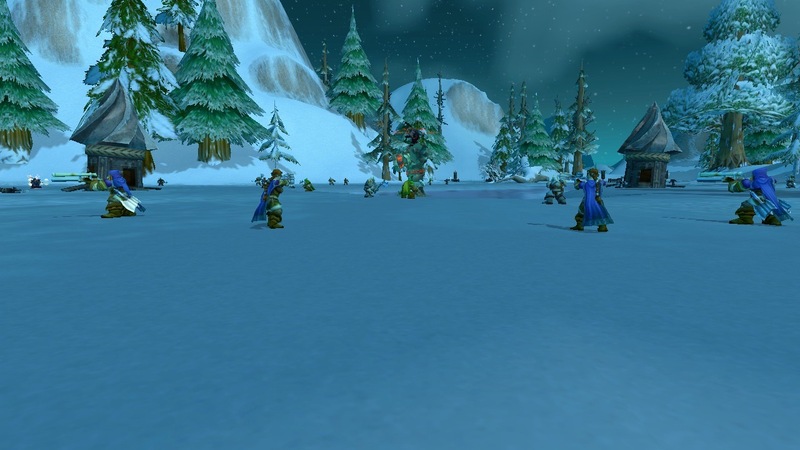 There aren’t any more Gnomeregan Evacuees trying to run through here. 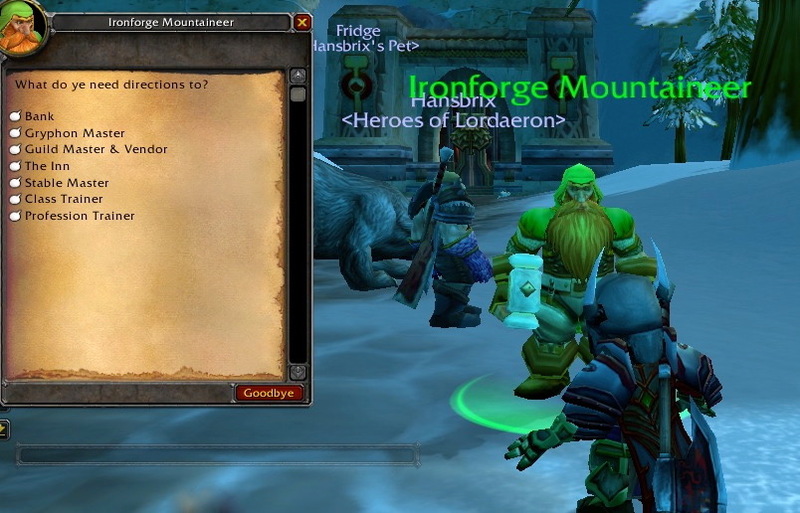 It appears that the Dwarven Mountaineers have finally won their ongoing battle with the Frostmane Trolls, because there aren’t any more trolls in this area. 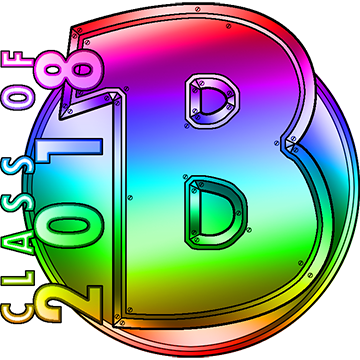 However, a new battle has begun. 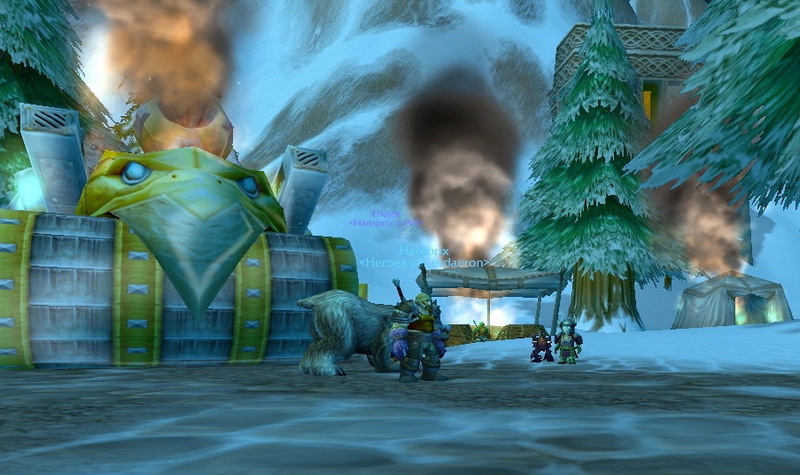 Now, the Dwarven Mountaineers are fighting against the Dark Iron Dwarves, who are invading the Ironforge Airfield. Part of the lake has melted. There is a water spout that shoots out of it. If you dive under the water, you will see that it isn’t actually coming from anything. The battle is not contained to only the lake. 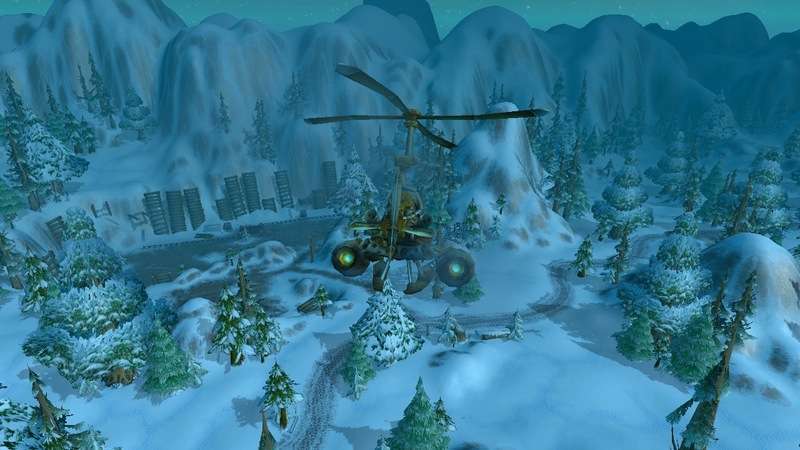 It spills out over much of Ironforge Airfield. 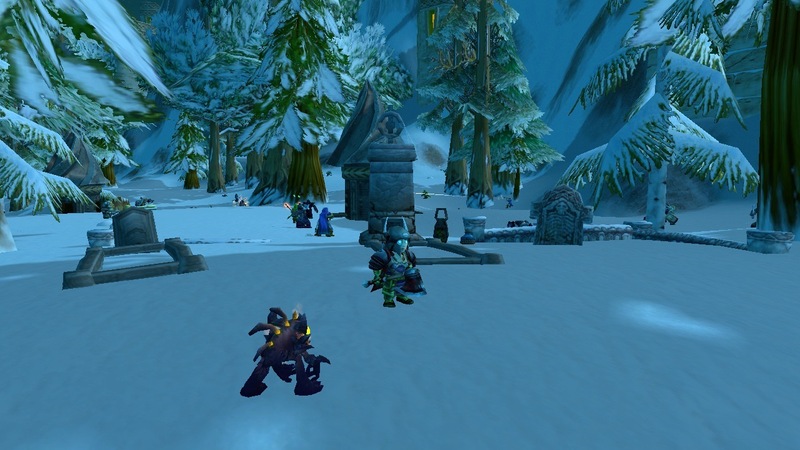 There is now a graveyard located here. 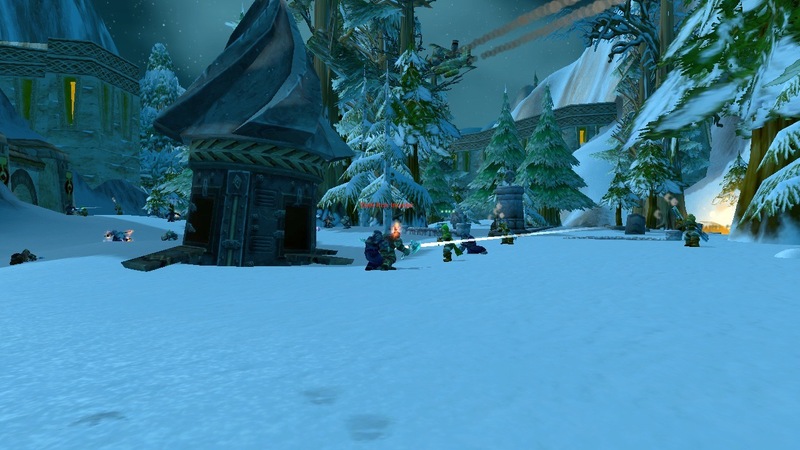 I believe this is here so that when low level players die in this location, they won’t have too far to run in order to return to their corpse. 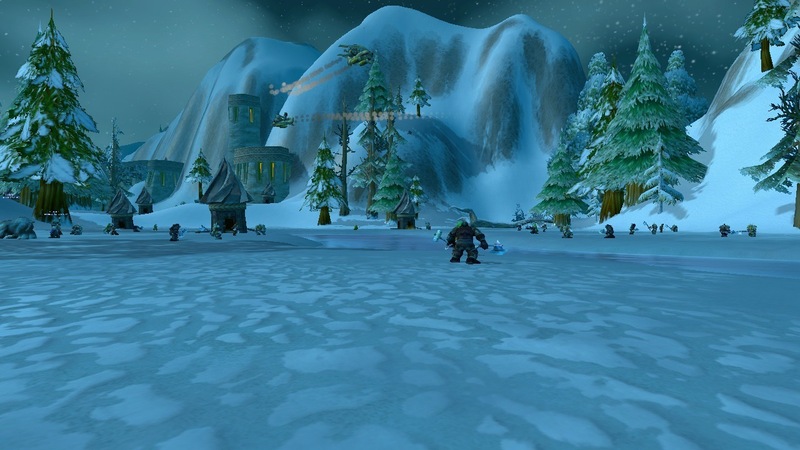 I know that there is a quest chain that takes players here, (and that then gives them something to do). 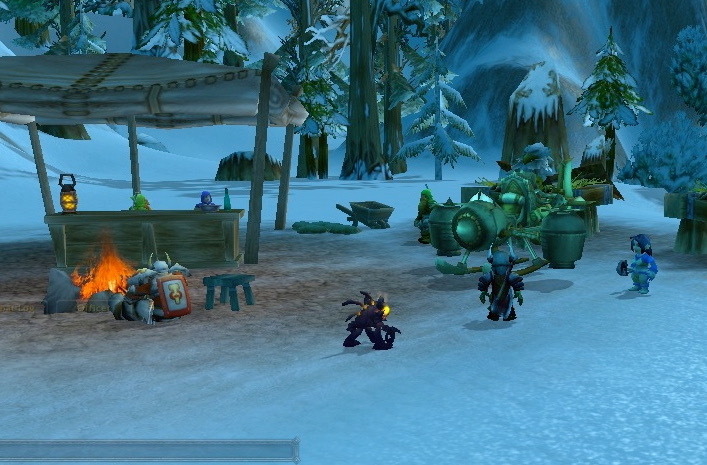 I found that if you aren’t here to do the quest, and are just exploring, this area becomes rather depressing. 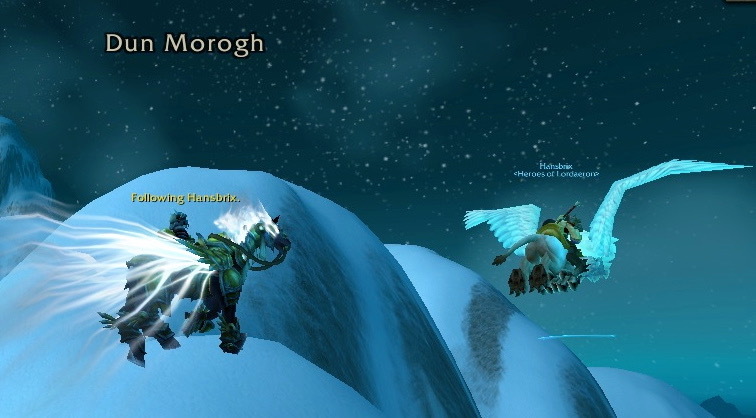 Instead of hearthing out, Hansbrix and I decided to take a charter flight to Gol’Bolar Quarry. You get to see some interesting views!